C-level executives often don’t fully understand that public relations personnel need the ongoing involvement and support of upper management in order to meet PR goals. Many senior executives have a simplistic and mistaken view of PR. They think they can either retain a PR agency or hire internal PR personnel who then produce scores of press releases that quickly lead to favorable media articles and an outstanding corporate reputation. PR doesn’t work that way. 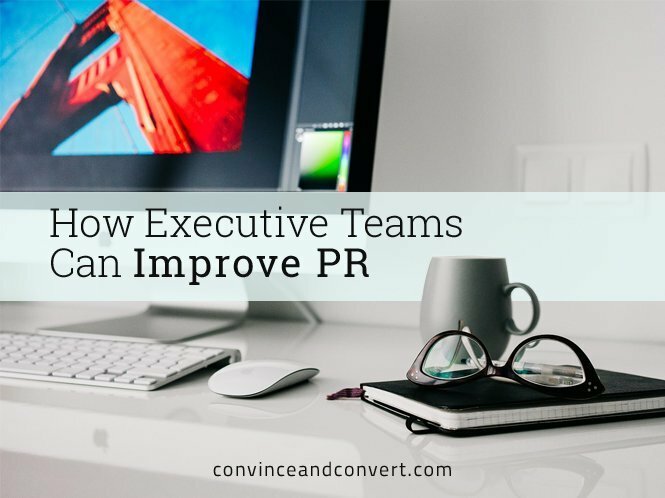 The truth is that C-level executives must be involved if their organization’s PR efforts are to succeed. Many upper management executives admit they don’t know precisely what PR does, what the organization should expect of PR, or how best to evaluate PR results. More than half of executives (59 percent) surveyed by Wakefield Research said they do not fully understand the role and capabilities of PR. Three-fourths say they spend a half hour or less each week discussing their PR strategy. Fewer than half (44 percent) said they were “very involved” in establishing PR goals in 2014, according to the survey done in partnership with the Public Relations Society of America New Jersey Chapter. Here are suggestions on how top executives can help assure effective PR for their organization. The CEO and key lieutenants should work directly with the head of PR to set quantifiable goals and specific strategies on PR responsibilities, such as reputation management, crisis management, media relations, brand support, employee communications, and other PR activities. The PR goals should be related to overall business goals. Upper management and the head of PR should also agree on timetables for reaching those goals and metrics to measure progress. Some in upper management crave media placements in leading national publications like The New York Times, Washington Post, or Wall Street Journal. For many businesses, however, placements in trade journals are more effective in generating product awareness, leads and sales. In addition, some senior executives may have unrealistic expectations about the volume of positive press coverage and its turnaround time. Company leadership must understand that favorable press coverage, or any press coverage at all, is not guaranteed and that developing media relationships and implementing a strategic PR plan requires time and resources. Agreeing on realistic goals and timetables for media placements and providing adequate budget levels are necessary elements to assure long-term PR success. PR functions well only if it’s treated as a member of the executive inner circle and kept well-informed by management about plans, research and development, issues, problems, and forthcoming announcements. As the first point of contact with the media and the public, PR must have an insider’s knowledge of everything that’s happening within the organization. A culture in which all department heads share developments with PR—good and bad —helps assure a successful PR program. Reporters often won’t include a company in an article if they don’t receive timely responses to questions—or they will simply publish information they have, which may be detrimental to the company. Sometimes a response from the PR spokesperson is sufficient. Usually, an executive statement plays out more credibly and successfully. Executives, therefore, must be willing and ready to speak to the media—on the media’s time schedule. Availability of executives to engage with the press is crucial at times of crisis. Reaching agreement on what constitutes PR success is a key element in creating a healthy relationship between PR and upper management. That means specifying the analytics that PR is to use. It also means that PR submits regular reports to management, and that management carefully reviews and discusses the PR reports. As the primary interface with customers, investors, consumers, and the general public, PR requires an investment of management time to function well. When management better understands PR, actively participates in developing PR strategies, and holds PR accountable through measurement, PR results inevitably improve, creating significant business benefits. William J. Comcowich is founder, former CEO, and now CMO of CyberAlert media monitoring and measurement service, which monitors online news, broadcast news (radio/TV), a full range of social media, and print. The company’s services include a worldwide news feed, executive news briefs, and customized media measurement for PR and marketing. Founded in 1999, CyberAlert is based in Stratford, CT.